The University will recruit, retain, and inspire academically talented students from all economic, racial, and ethnic backgrounds. The University of Richmond has a tradition of providing opportunities and assistance to promising students. Each generation has worked in new ways to extend opportunity and welcome to students from all backgrounds. We will continue to build on that tradition to open doors for students with the potential to excel and contribute to the University, and help families understand clearly the value and affordability of a Richmond education. Provide leadership as a founding member of the American Talent Initiative, dedicated to expanding the number of talented low- and moderate-income students who enroll at the nation’s top colleges. Explore ways to expand Richmond’s Promise to Virginia (e.g. geographically, student populations served) in order to make a Richmond education accessible to more academically talented students. Develop a program to identify a cohort of local students for admission to Richmond. Help families more clearly understand the cost and value of a Richmond education from the beginning of the college search process by investigating new approaches to financial aid that can ensure families a maximum that they would have to pay to attend the University based on their income. Develop innovative outreach programs to ensure that the most academically talented students in the world understand the value of a Richmond education and are inspired to apply. We have taken a number of steps to help all families better understand the affordability and value of a Richmond education. The University is a founding member of the American Talent Initiative, a cohort of institutions dedicated to expanding the number of talented low- and moderate-income students who enroll at the nation’s top colleges. In fall 2018, we implemented MyinTuition, an innovative online tool used by highly selective universities to allow students to quickly and easily access information about the projected cost of college and make decisions about affordability. In the first two months it was available at Richmond, more than 1,100 families completed their estimates, which we hope will help them realize that Richmond is an affordable option. We have joined The Coalition, a diverse group of 140 colleges and universities, in a shared commitment to making college a reality for all high school graduates by providing free online tools to aid in the college application and admission process. Richmond is a founding partner of the College Board’s Environmental Context Dashboard, a pilot program that will give us a deeper understanding of the context of an applicant’s background and experiences. We know that grades and test scores alone do not tell the whole story about an applicant, and this tool will further enhance our Admission staff’s understanding of student achievements. 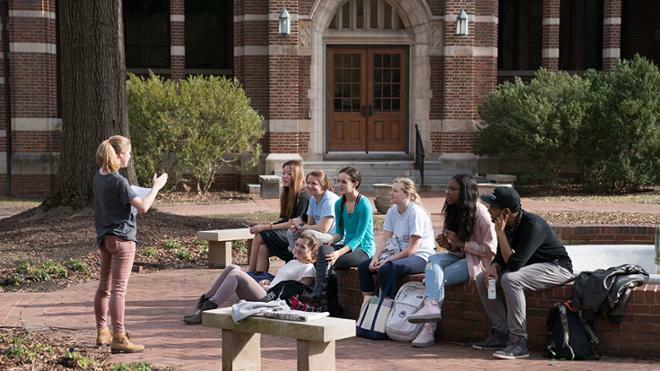 The University of Richmond has joined 30 of the nation’s most respected colleges and universities in an initiative to substantially expand the number of talented low- and moderate-income students at America’s top-performing undergraduate institutions with the highest graduation rates. The University of Richmond has again been named to "Kiplinger’s Personal Finance's" list of the 300 Best College Values for 2018. 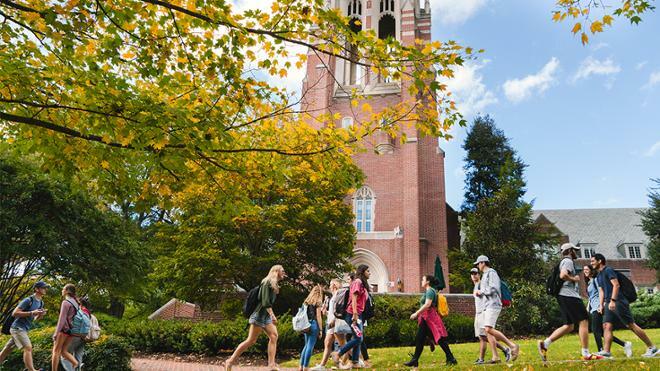 U.S. News & World Report’s Best Colleges 2019 guide ranked the University of Richmond #25 overall and #22 for “Best Value” among national liberal arts colleges. University of Richmond has been recognized as a top performer by the Association for the Advancement of Sustainability in Higher Education.